Lisa, I especially like how you’ve presented your TTT as a “read-alike” list! I’m tempted to do the same, though I fear that I’ll discover far more titles of interest than I can handle, lol. That’s the problem with these weekly lists — I always end up with more and more and more on my TBR list! Wonderful list. I thought Prep was even better than Eligible so I’d be interested to hear what you think after you’ve read it. Jamaica Inn is just as good as Rebecca! Great to know — I’m excited to read both! The nerd in me loves the chart you made! Ha ha, I’m a total nerd. I actually made my chart in Excel, then copied and pasted it! Love your list. I love the twist you’ve taken on it. 🙂 Looks like you’ve got some exciting books coming up. I forgot about challenger deep ,I still have it on my TBR! People keep recommending it to me — I’ve heard it’s really great! I am so intrigued by Bird Box. I saw it everywhere this October and it sounds so good. Will have to hunt it down soon. Good luck with your TBR! Yes, I need to read it before the Netflix movie. I like your spin on this. There are a few authors from your list I may have to check out. I loved Joe Hill’s THE FIREMAN, but I worry that his other books are too scary for me. I do, though, typically like to dig into an author’s backlist if I enjoy one of their books! Hey, I tried emailing you at the same email I have for you, and received a mail deliver thing of “Address not found.” Do you have a new email? I loved The Fireman too — but yeah, his other books are a lot more disturbing! (My daughter gave up on NOS4A2 after one chapter — she said it creeped her out too much.) My email address is the same — see my “About” page! Such an interesting list. Daphne DuMaurier has been on my radar since I started listening to an audio book of The Rendezvous and Other Stories. I haven’t read (nor heard of) Mary Robinette Kowal’s The Calculating Stars but I am 4 books in to the Glamourist series which I love (you can check my blog for reviews if interested). 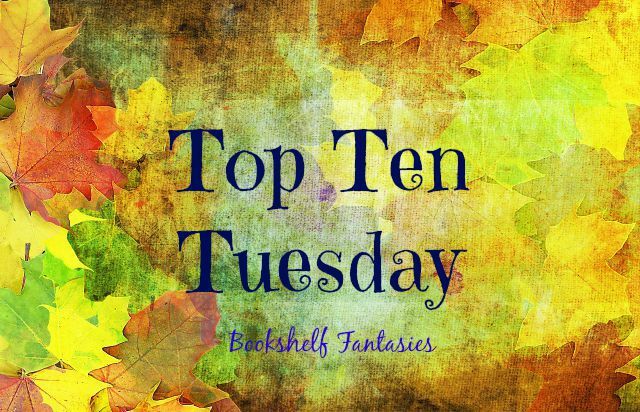 I recommend starting with the first one though (rather than Glamour in Glass) so that you can feel the build of the main characters’ relationship – though each book can be read as a standalone. Charles Dickens’ Great Expectations is an all time favourite of mine. I really loved Great Expectations! I’m so glad to hear that you’re enjoying the Glamorist books. The Calculating Stars was just released this past summer, and is absolutely terrific — one of my favorite books of 2018.